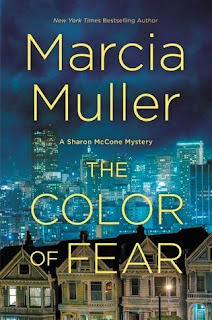 This week my teaser lines come from the new Sharon McCone mystery, The Color of Fear, by Marcia Muller. This is, somewhat amazingly, the thirty-second entry in this series; but it's the first one for me. This snippet comes from Location 311 of the Kindle edition, and since it's from an advance copy of the book, please remember that the published edition might differ slightly. I said, "They're not 'kind of' old — they're old." "So what do they want with each other?" "The same thing we all do. Wouldn't you want somebody to warm your tootsies when you're in your eighties?" Well, definitely! Ah, youth! Was I really that smug once upon a time? Hmmm. Yeah, probably. 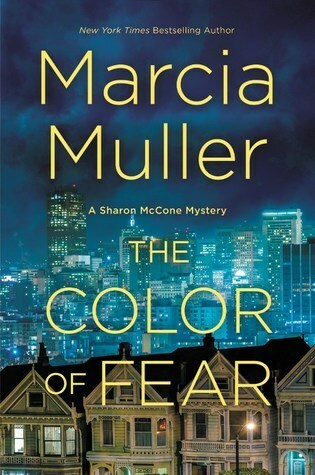 I started reading The Color of Fear last week, and liked it quite a lot. But the plot involves a vicious, racially-motivated attack and its aftermath — and what with the news from Virginia this past weekend, I might need to take a little break from this one. If you'd like to see more Teaser Tuesday offerings, or do some teasing yourself, just head on over to The Purple Booker and leave your link. And please feel free to leave me a link to your Teaser Tuesday post in your comment here.